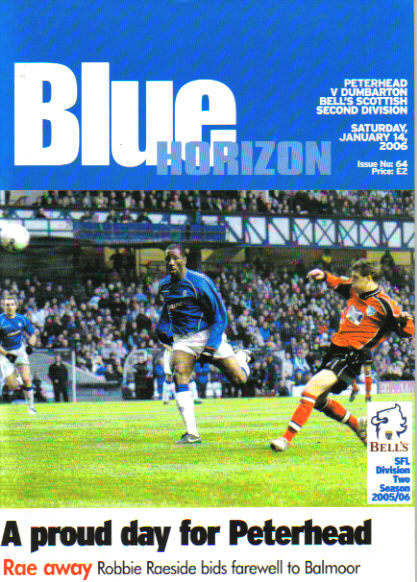 PM - Warr'gton T> (Uni 1) v Woodley; (07/01); 60pp w/a; 01 - St.Ives* (UCLP) v Boston T (28/01); 12; w/a; 02 - Buxton (NCELP) v Ash'lle (FAV4); (21/01); 36pp; £1; 03 - Welwyn GC (SML) v Nkt T (FAV4r); (28/01); 44pp; £1; 04 - Hadley (HSCLP) v Sand Rovs; ((25/01); 20pp; 50p; 05 - Millwall* (FC) v Sheff Wed; (04/02); 68pp; £3; 06 - Peterhead* (SFL2) v Dumb'ton; (14/01); 32pp; £2; . 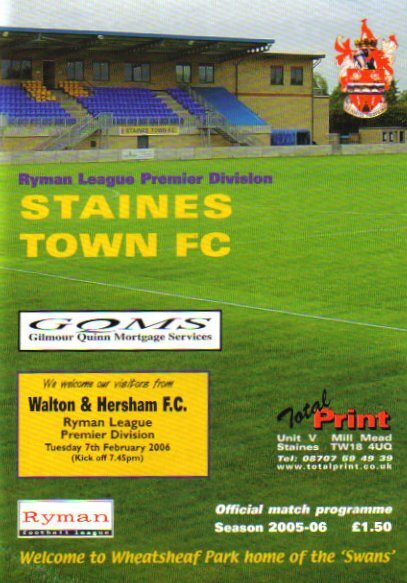 07 - Staines T* (Ryman) v Walt & F; (07/02); 40pp; £1.50; . 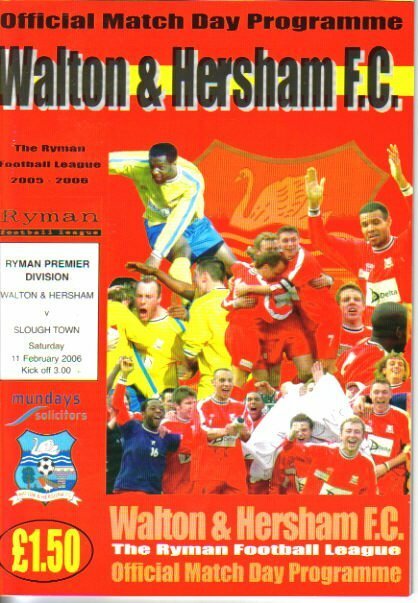 08 - Walt & H* (Ryman) v Slough T; (11/02); 40pp; £1.50; . 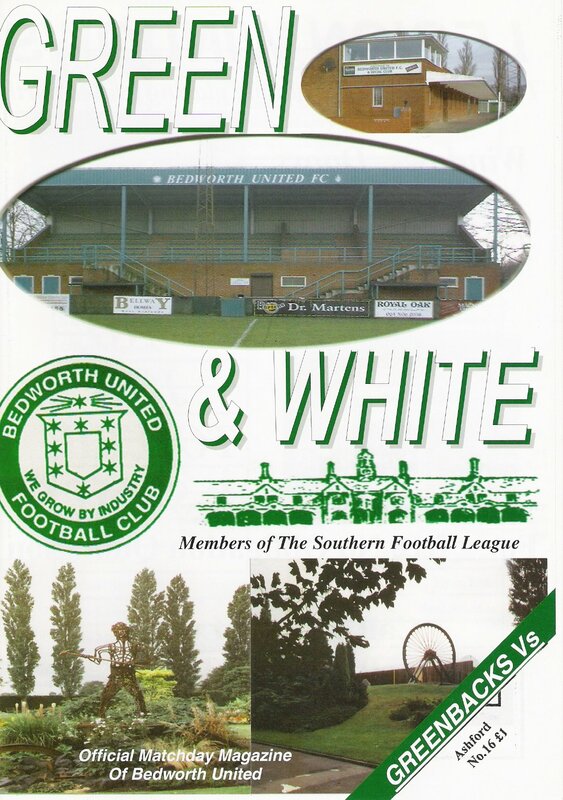 09 - Bedworth+ (SL1W) v Ash T (M'x); 32pp; £1; . 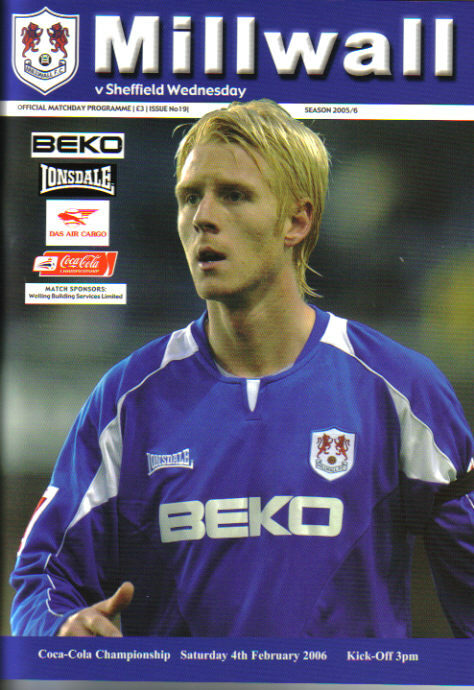 10 - Quorn+ (MFA) v Rocester; 24pp; 50p; . 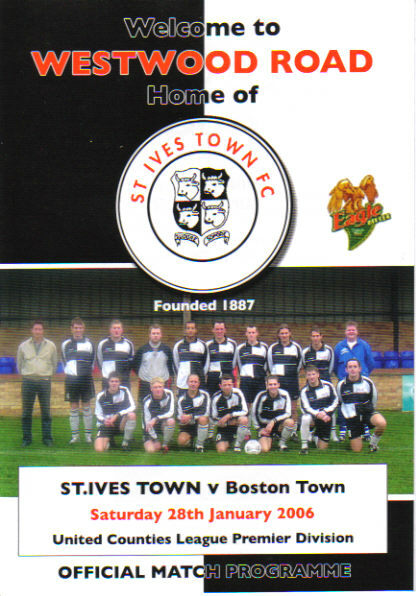 11 - Camb City+ (NCS) v St.Alans; 52pp; £1.50; . 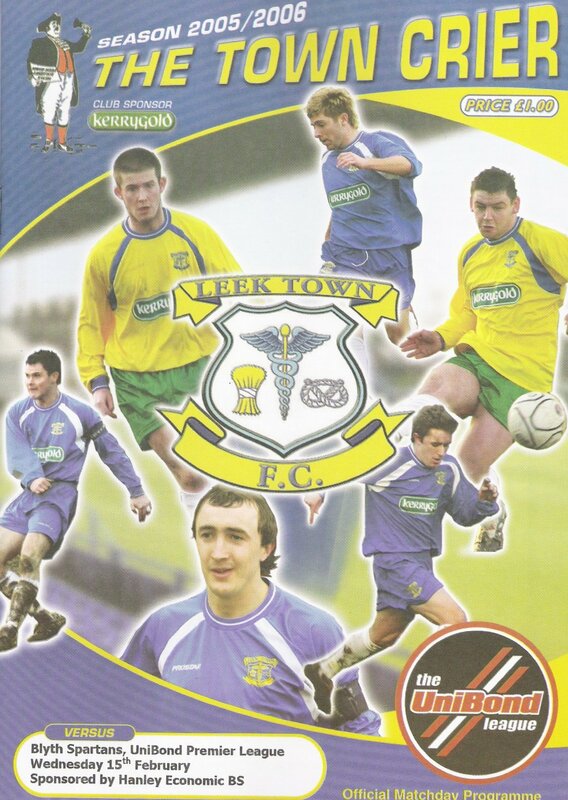 12 - Leek T+ (NPL) v Blyth S; 52pp; £1.50; . 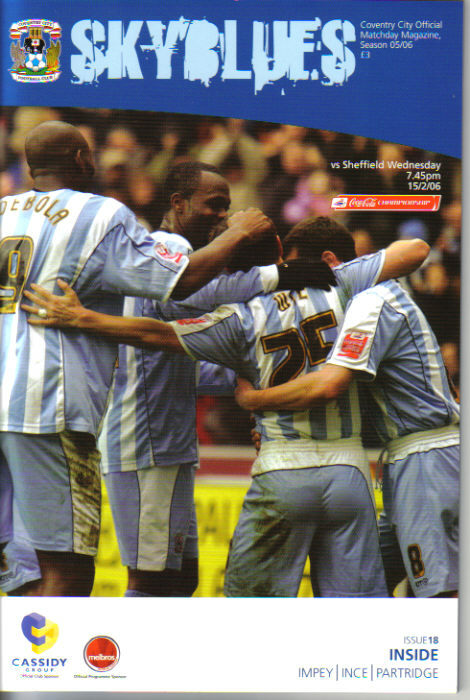 13 - Coventry City* (FC) v Sheff Wed; (15/02); 58pp; £3; . 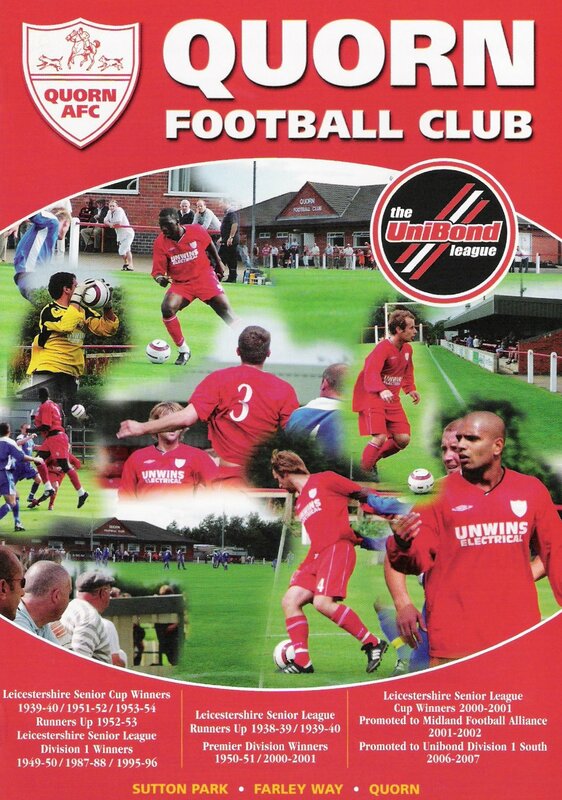 14 - Bradford Tn* (WL1) v Minehead; (18/02); 40pp; w/a£4; .